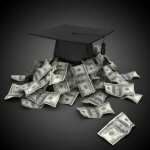 Can Student Loans Help You Qualify for Chapter 7 Bankruptcy? 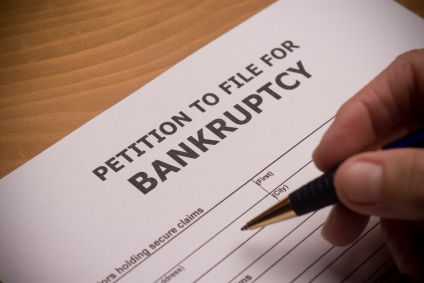 If you plan to file for bankruptcy and have a bundle of student loan debt, those loans might make it easier for you to be eligible for Chapter 7 bankruptcy. A Texas bankruptcy court recently ruled that because a bankruptcy debtor’s substantial dentistry school loans were not consumer debts, he did not have to take the means test in order to file for Chapter 7 bankruptcy. In order to qualify for Chapter 7 bankruptcy, you must pass the means test. The Chapter 7 means test looks at your income and expenses and determines if you have enough money left over to repay your unsecured creditors a portion of what you owe. 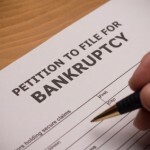 There are several situations when debtors do not have to pass the means test in order to file for Chapter 7 bankruptcy. One of those is referred to as the business debt exception: If the majority of your debts are not consumer debts, you don’t have to take the means test. In In re De Cunae, No. 12-37424 (Bkcy S.D. TX 2013), Mr. De Cunae, a dentist, filed for bankruptcy. He lost his dental practice after a difficult divorce, was a single father, and couldn’t work for a time because of a stroke. At the time of his bankruptcy filing, he was once again working as a dentist on a contract basis. He filed for Chapter 7 bankruptcy. Mr. De Cunae argued that he did not have to pass the means test (his income was high enough that if he did have to pass it, he would have failed) because his student loans from dentistry school were nonconsumer debts, and therefore the majority of his debts were nonconsumer. The Texas bankruptcy judge agreed, ruling that the portion of his dentist school loans (about $200,000) that was used for tuition, books, and fees, was not a consumer debt. On the other hand, the portion of the student loans that he used for household expenses (about $30,000) was consumer debt. The Texas bankruptcy court found that Mr. De Cunae did not attend dentist school, nor incur loans to attend dentist school, only for self-improvement or self-esteem, as the United States Trustee argued. Instead, the court found that Mr. Cunae’s intent was to enhance his ability to earn a future living. To the court, that seemed to fit squarely within the profit motive category — and therefore they were not consumer debts. The portion of student loans that Mr. De Cunae used for household expenses, however, were consumer debts. Because he could classify most of his dentist school student loans as nonconsumer debt, Mr. De Cunea’s total nonconsumer debt load outweighed his consumer debt load – and he was allowed to file for Chapter 7 bankruptcy without passing the means test. Starting on April 1, 2013, bankruptcy filers will be required to use new figures when completing means test calculations. Those new figures include updated median family income numbers for each state, and new national, regional, and local expense standards. In Chapter 7 bankruptcy, you must go through a series of calculations to determine if you qualify for Chapter 7 bankruptcy. This is called the means test. The purpose of the means test is to see if you could fund a Chapter 13 repayment plan. If you can, you cannot file for Chapter 7. To learn more visit Nolo’s Chapter 7 Means Test topic area. These figures play a role in Chapter 13 bankruptcy as well. To learn how your family median income and expenses affect your Chapter 13 bankruptcy, visit Nolo’s Chapter 13 Repayment Plan topic area. The first step is to determine if your family income is more or less than the median family income in your state for a family of your size. Those median income figures just changed. You can find the new numbers on the U.S. Trustee’s website at www.justice.gov/ust. Choose Means Testing Information, pick the correct date range, choose “go” and then on the next screen, click on Median Family Income Based on State. If your income is less than the median for your state, you can file for Chapter 7. If it’s greater, you must go through more calculations to see if you can pass the means test. In this next part of the test, you subtract certain allowed expenses from your income. If you have a certain amount left over, you will not pass the means test and you won’t be allowed to file for Chapter 7. For some expenses, you can subtract the actual amount you spend. For others, you must use national, regional, or local figures. Those have also changed as of April 1, 2013. To find the new expenses standards, visit the U.S. Trustee’s website at www.justice.gov/ust, choose Means Testing Information, choose the correct date range, and then scroll down to find the various types of expenses (such as food and clothing , housing, health care, and transportation).